A Wonderball table at Bounce - Old Street that has different game modes. 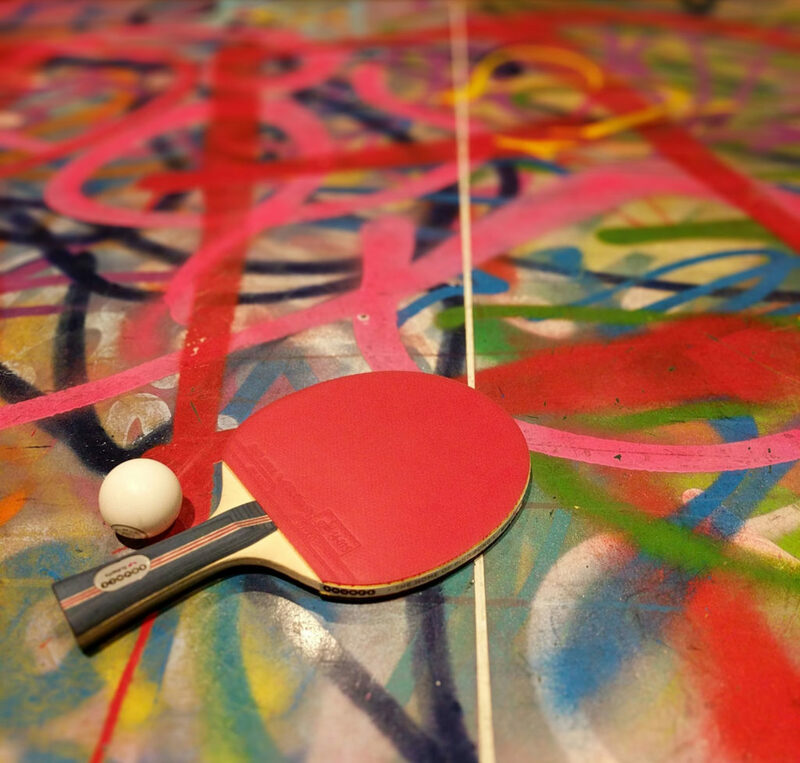 One of the best first date bars in London and a firm favourite of London Date Guide’s, Bounce combines pizza and drinks with table tennis, all in a fun, energetic and ‘bouncing’ bar that sets a lively tone for a first date. There are currently two Bounce locations in London; Old Street and Chancery Lane. We’ve been to both many times but this post will talk about the Old Street location. Only a two minute walk away from Old Street station, Bounce lies underneath late night bar ‘Roadtrip’ and fashionable start-up co-working space ‘The Trampery’. 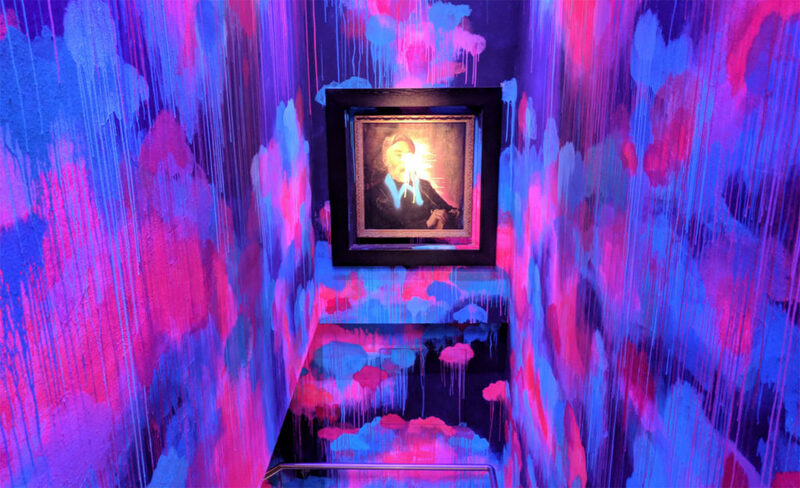 As you descend the stairs into the vast subterranean space, the lights start to dim and slowly the world above slips away. The vibe is upbeat and the decor matches with its’ Brooklyn loft apartment feel mixed with the bright lights of Las Vegas. Bounce doesn’t accept bookings for groups of less than six during peak hours so to ensure you get a table, the best way is to turn up early and get your name on the waiting list and grab a drink at the bar either inside or head to one of the many bars close by such as The Craft Beer Co, Roadtrip or Golden Bee to kill some time. The music is clubby and loud which is perfect because no one will hear your tears when your date beats you at ping pong. Don’t forget, if you can dodge a wrench, you can dodge a ball or even manage to return it. You got this! It’s not cheap, a 30 min session for two will cost you about £16.50 but its the best way to get paddled. If you’ve changed at work to prepare for your date, don’t worry about carrying your bags around, there’s cages for your stuff next to the table. 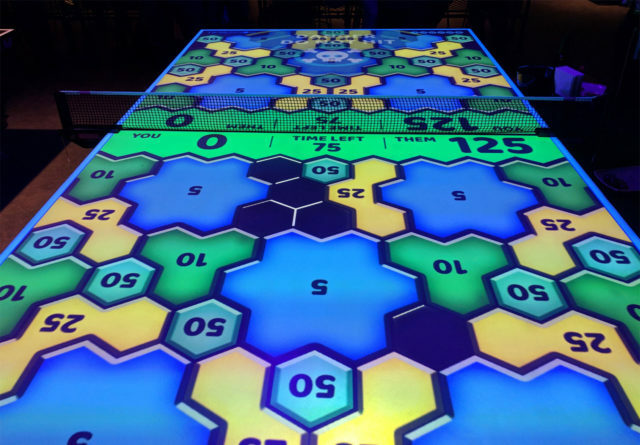 A Wonderball table at Bounce – Old Street that has different game modes. Don’t worry about balls going flying and having to chase after them, Ball boys and girls go around with a special net to collect the hundreds of balls littering the floor then refill the bucket at your table as soon as it’s running low. 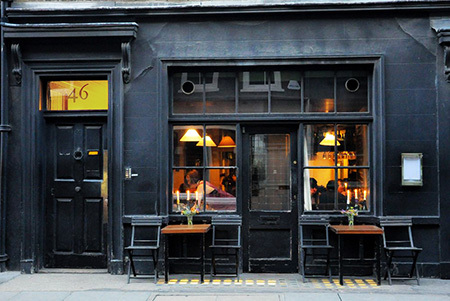 Bounce Old Street also have a bottomless pizza and prosecco brunch on a Sunday which is killer fun if you’re planning on getting sozzled and is especially good for a double date. There are plenty of other great deals and nights at Bounce so it’s well worth checking out their What’s On page on their website before you go. Have you ever been to Bounce on a date? 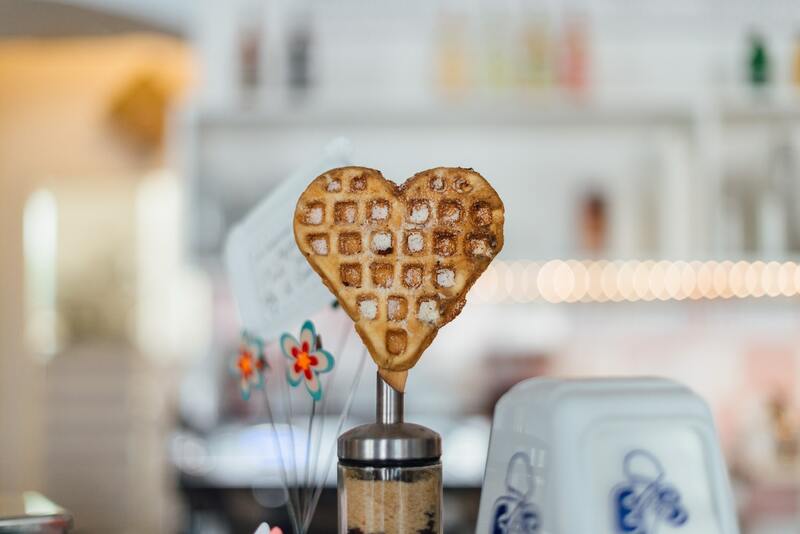 What did you think, tweet us your thoughts @LondonDateGuide.